For fitting to the Ruger 10/22 rifles. 117mm long with 11 slots. Mounts onto the top of the 10/22 receiver and matches the pre-drilled holes on the receiver. 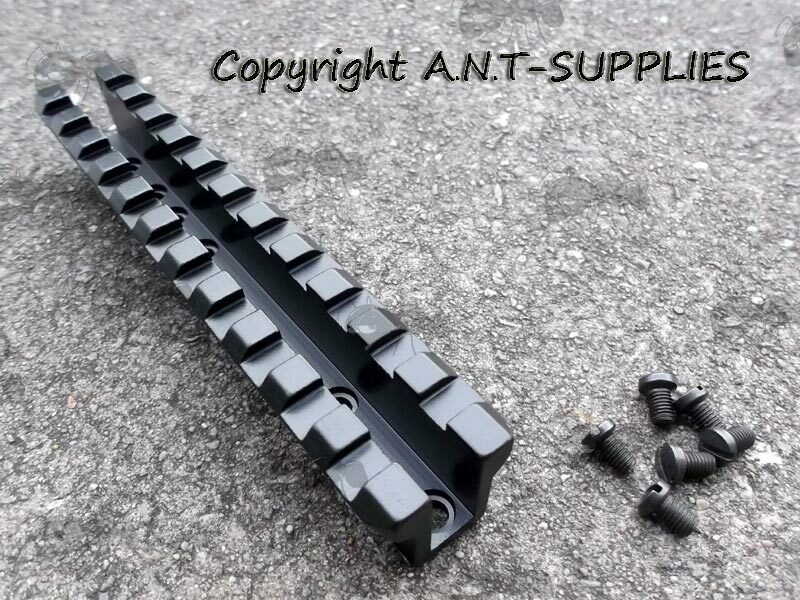 Includes steel fixing bolts, with no modifications to your rifle necessary. The screws are 7mm overall and with 3.3mm diameter threads. Also available ~ Sling swivel fitting base for Ruger 10/22. We also have a low-profile multi-rail version for switching between dovetail and weaver mounts. If you see this message, it means that your browser doesn't support iframes or they are disabled. 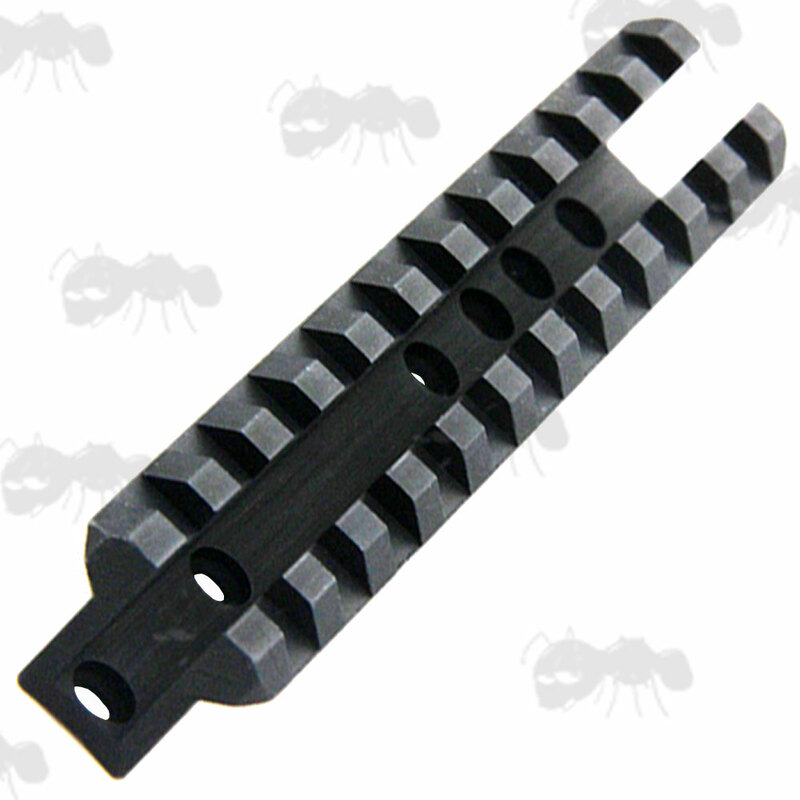 You can access the information shown in this frame here: Ruger Rifle Accessories Product Scroller.